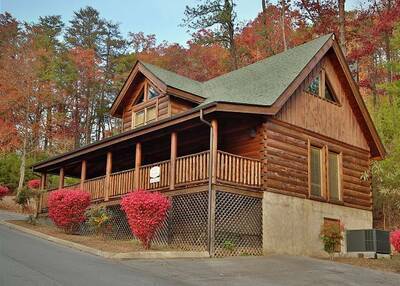 Grab that special someone and enjoy an unforgettable Smoky Mountain vacation in Sunrise Vista! This spacious two level, one bedroom log cabin features a fully equipped kitchen, gaming area with pool table, 1.5 baths, open loft bedroom with sitting area, rocking chairs, covered deck, outdoor hot tub and valley/mountain views. 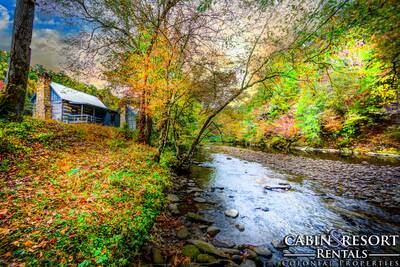 All located a short distance from Pigeon Forge or Gatlinburg. 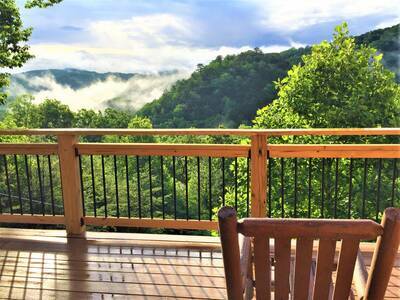 When planning a relaxing and romantic Smoky Mountain Getaway, plan your stay at Sunrise Vista! Also check out sister property to Sunrise Vista, Black Bear's Den! 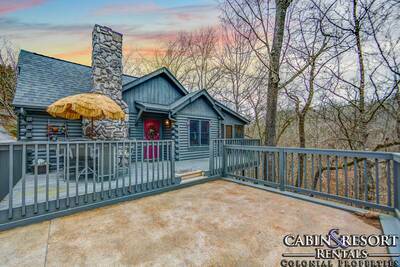 Sunrise Vista features 5 acres of property shared with sister property Black Bear’s Den. On these 5 acres, you might see remnants of an old hiking trail that used to climb high up on the ridgetop and circled around to the north side of the cabins. Today, there is little physically trail direction left. All has been lost to the windswept elements. Today, this trail is home to the native wildlife. 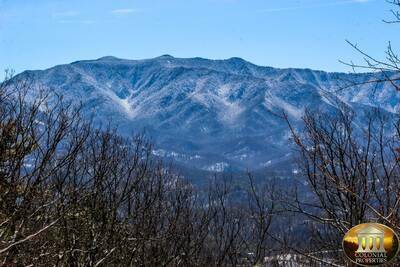 A scenic drive is one of the best ways to view the Great Smoky Mountains and with over 800 hiking trails, you are surely going to find the one that’s just right for you. A: Danny, it is located on the outskirts of Pigeon Forge in the Pittman Center area! There is a property location map located at the bottom of the cabin page that may assist you. A: Hi Marissa! This cabin is not a pet friendly rental. We do have other options that are. “ We loved the view, the hot tub and the cabin. It was a great time for love, peace and rejuvenation. The staff was great to work with and we would gladly stay with them again. “ Exactly what we needed. Beautiful cabin, perfectly sized and with everything we needed to be comfortable. The view and location were immaculate, breath taking, and of healing quality. It was like home but in the most beautiful mountains many miles from home. “ Great location & cute cabin! “ We enjoyed a wonderful weekend in Sunrise Vista. The Colonial Properties staff were very friendly and accommodating during our stay. Teresa with housekeeping was extremely helpful, a big shout out to her!! Can't wait to return! “ We stayed two nights in the Sunrise Vista and absolutely loved it! The cabin is very clean and up-to-date. The view is outstanding. We will be back - this is exactly what we were hoping to find. 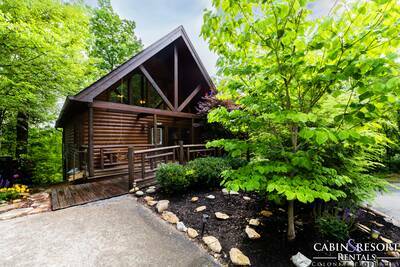 “ Beautiful cabin, perfectly sized and with everything we needed to be comfortable. The view and location were immaculate, breath taking, and of healing quality. It was like home but in the most beautiful mountains many miles from home. “ This cabin was great!!! Clean and well supplied .... quiet and peaceful. Already planning our next vacation in the smokies. Want to visit another cabin for another great experience.